Kyocera Corporation (President: Hideo Tanimoto) announced today that it will construct a new manufacturing plant on the premises of its Kagoshima Sendai manufacturing complex to increase production of ceramic microelectronic packages. The company entered into a site location agreement with local governments, and a signing ceremony was held March 16 at the Satsumasendai municipal office in the presence of the governor of Kagoshima Prefecture and mayor of Satsumasendai. Construction is scheduled to begin in April 2018 for the new plant, which will be the 22nd facility at Kyocera’s Kagoshima Sendai manufacturing complex. The new facility, which Kyocera plans to open in August 2019, will bring a 25 percent increase in the company’s total production capacity for ceramic packages used to house SMD*1 electronic devices and CMOS*2 image sensors. Kyocera’s heritage is rooted in ceramics - the company’s name is derived from Kyoto and ceramic. In 1959, Kyocera began manufacturing ceramic insulators for TV picture tubes and later became the world leader in fine (advanced) ceramics, producing electronic components, semiconductor process components, and parts for LCDs and LEDs, among other applications. The company’s original Kagoshima Sendai Plant opened in 1969 to produce multilayer ceramic packages for ICs used in desktop calculators. The electronics industry is now experiencing new growth fueled by big data, artificial intelligence, and the Internet of Things (IoT). The development of advanced driver-assist systems (ADAS) and technology that supports minimally invasive medical treatments will drive future growth as well. 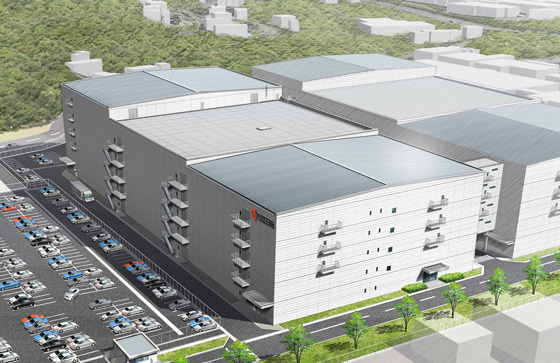 The new Sendai facility will significantly increase Kyocera’s production capacity for two key enablers of these applications — SMD ceramic packages and packages to house CMOS image sensors — as well as ceramic packages for automotive and medical devices.